A couple of new details…. Yes, that is even sunshine out there! The cabinets are all installed, trim is going in inside and flooring. There are lots of things coming together at this point in the construction. Let me know if you want to have a look! 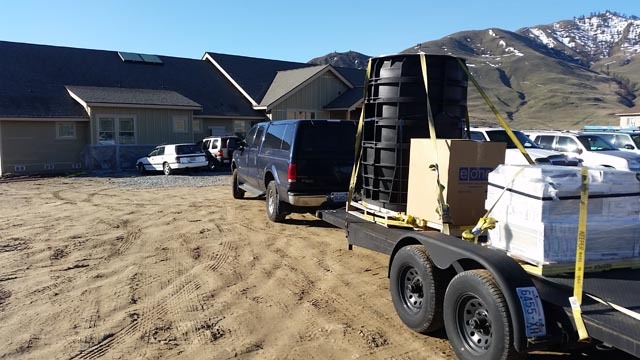 Posted on March 10, 2017 Categories Chelan Special Needs Resources, ConstructionTags Chelan, construction, Housing and Residential Support, needs, specialLeave a comment on A couple of new details…. 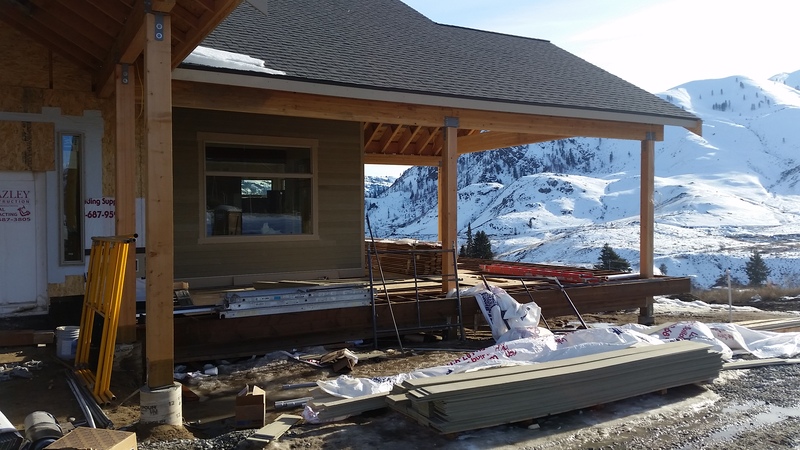 1st of March Update on Ridgeview Place in Chelan! 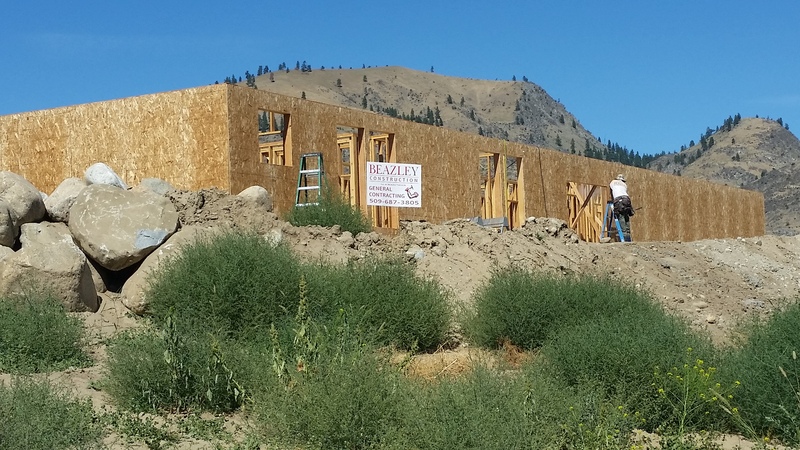 There is lots of news on our Ridgeview Place project in Chelan! 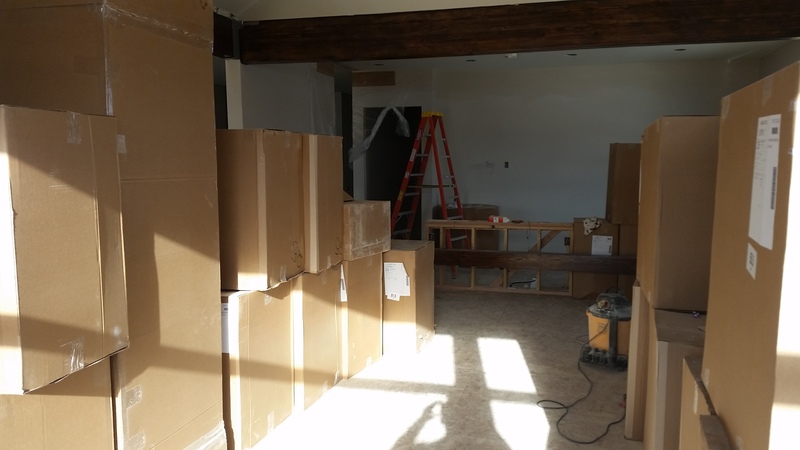 Construction first, cabinets and flooring are going in inside and finish carpentry is getting started. The exterior siding is being completed and paint will start soon after that. 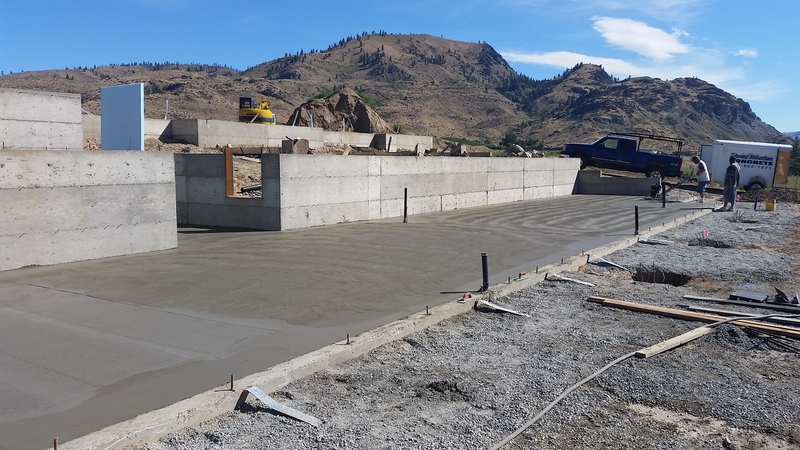 The weather should soon cooperate to allow us to finish the slab for the shop area and dig in the sewer connection. 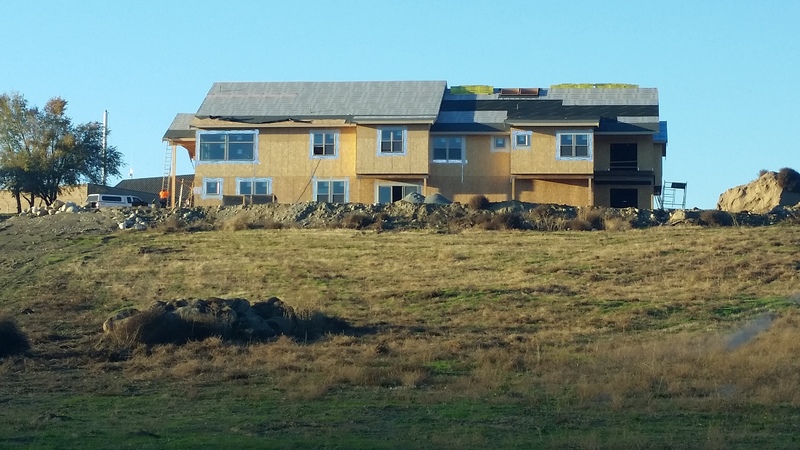 It could have an occupancy permit in May! We are even ordering furniture. This is turning into a home with incredible spaces in one of the most stunning settings in the country! 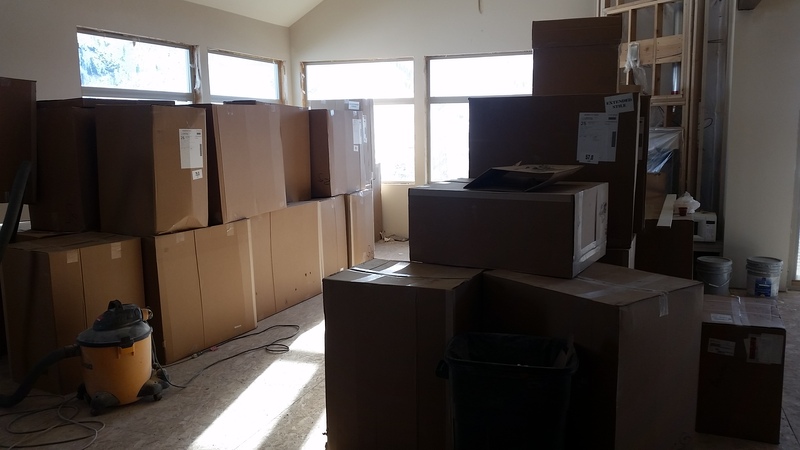 Boxes of cabinets about to be installed. We still have snow on the ground, and great views from the great room at Ridgeview Place. 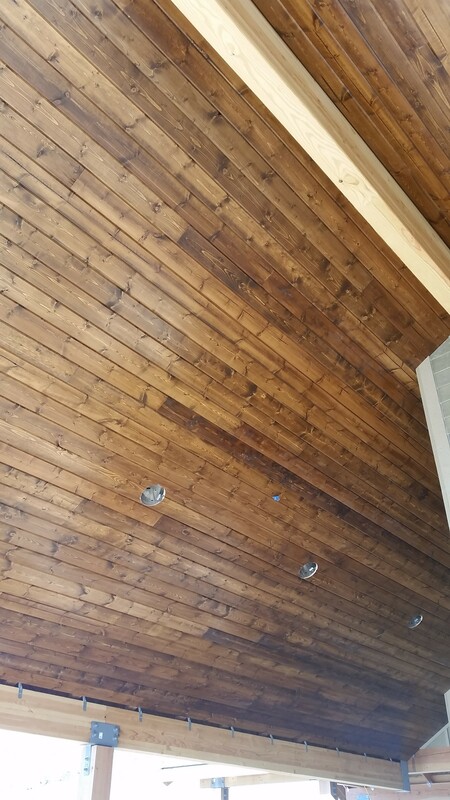 The siding is mostly done…. 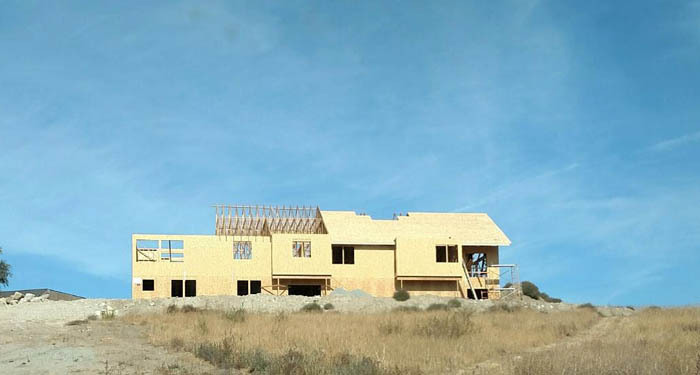 Progress looks like this in construction! On other fronts, we have some interested families that we have started talking with about possibly participating in the project. We have drafts being done of the much of the associated paperwork. 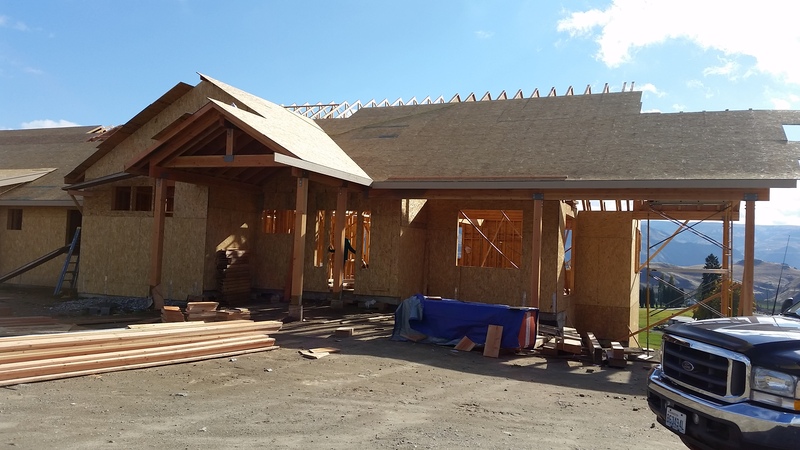 The vocational side of the project is growing at an incredible pace and is on track to meeting our financial goals for it. It is an exciting time for this project as it all begins to come together!! 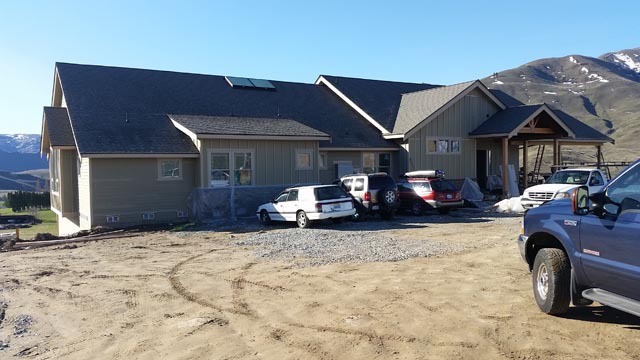 Posted on March 1, 2017 Categories About Ridgeview Place, Chelan Special Needs Resources, ConstructionTags Chelan, construction, Housing and Residential Support, needs, specialLeave a comment on 1st of March Update on Ridgeview Place in Chelan! Merry Christmas from Ridgeview Place in Chelan! Electrical and framing are basically complete. Next comes insulation and sheetrock. I expect next year we will have real holiday decorations in place this time of year!! 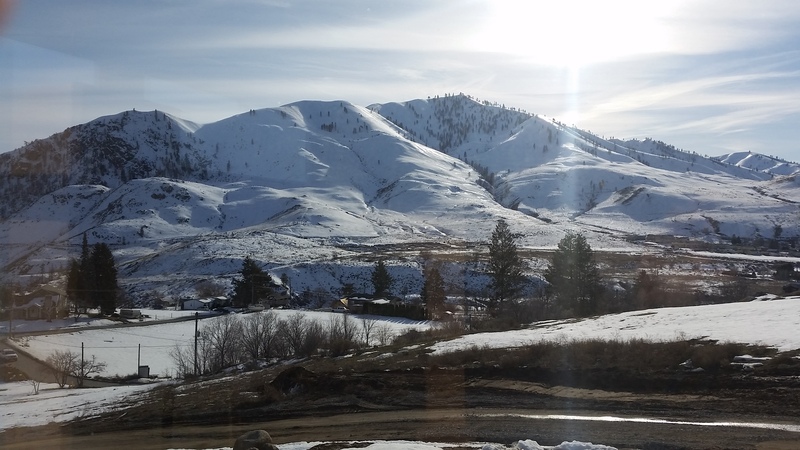 Posted on December 26, 2016 December 26, 2016 Categories About Ridgeview Place, Chelan, Chelan Special Needs Resources, ConstructionTags Chelan, construction, home, needs, specialLeave a comment on Merry Christmas from Ridgeview Place in Chelan! 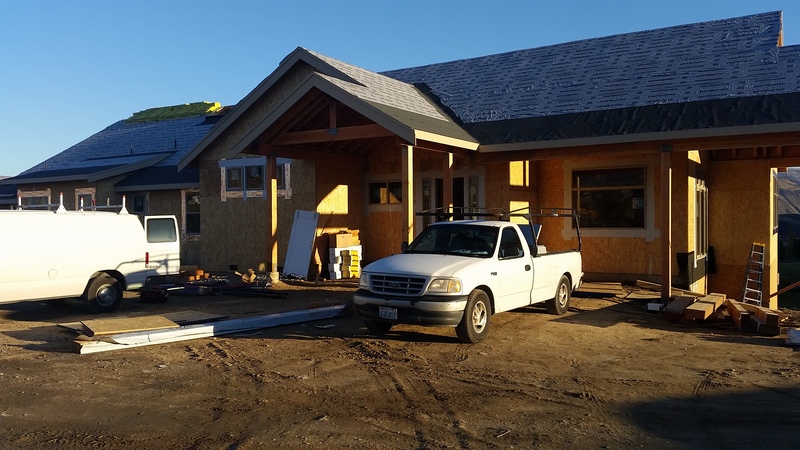 Windows, doors, plumbing and a roof this week! What a fun and beautiful place this is becoming! I am excited. Let me know if you want a tour. 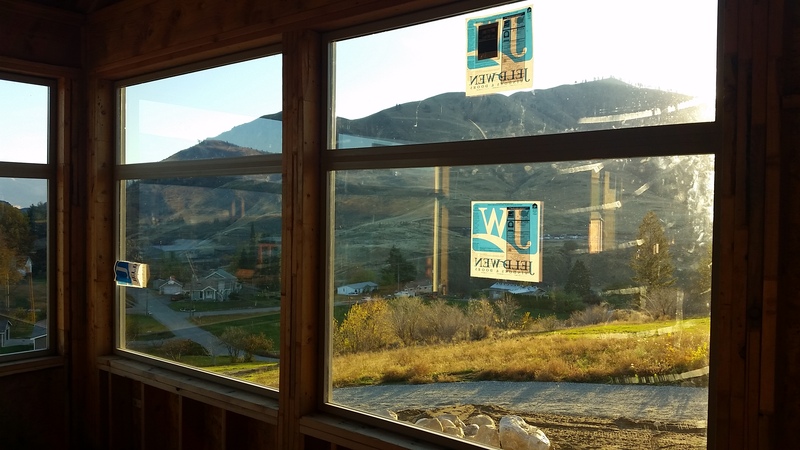 Posted on November 11, 2016 Categories About Ridgeview Place, Chelan Special Needs Resources, ConstructionTags Chelan, construction, home, needs, specialLeave a comment on Windows, doors, plumbing and a roof this week! Things continue to move along at Ridgeview. More sheeting on the roof is being done as the rafters are all in place now including over some of the outside areas. The roof at Ridgeview is pretty dramatic, with tall soaring areas, skylights and other detailing. Some ceiling detail in the caregivers’ apartment. It is pretty exciting as I really had not grasped how beautiful the spaces are from the plans. It looks like we should achieve being basically weathered in by the end of November. 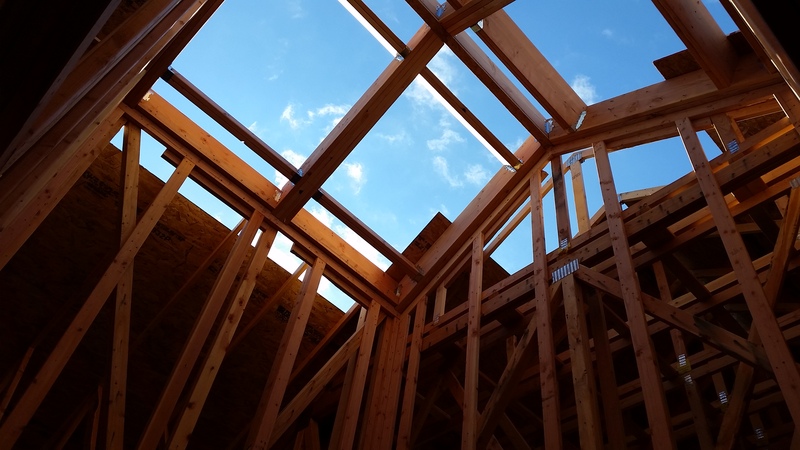 These skylights are quite a ways up! The foundation has been excavated for the shop/work area as well. Ideally that will also be formed and poured in the next month as well. 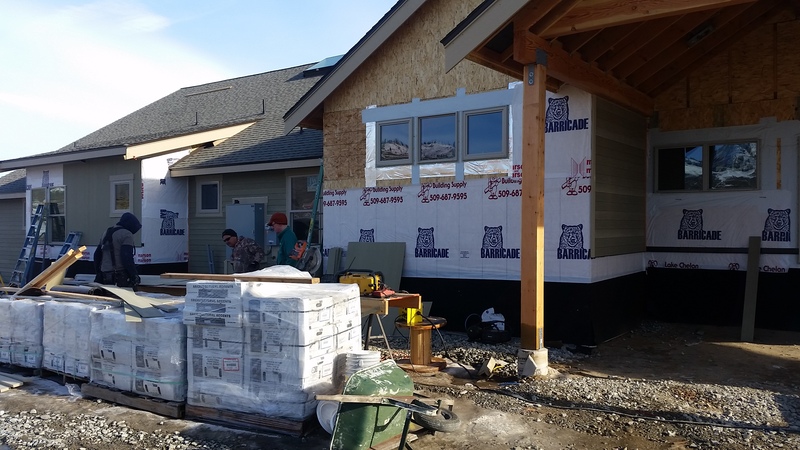 Lake Chelan’s home for Special Needs Adults gets a roof! Things are really coming along now. 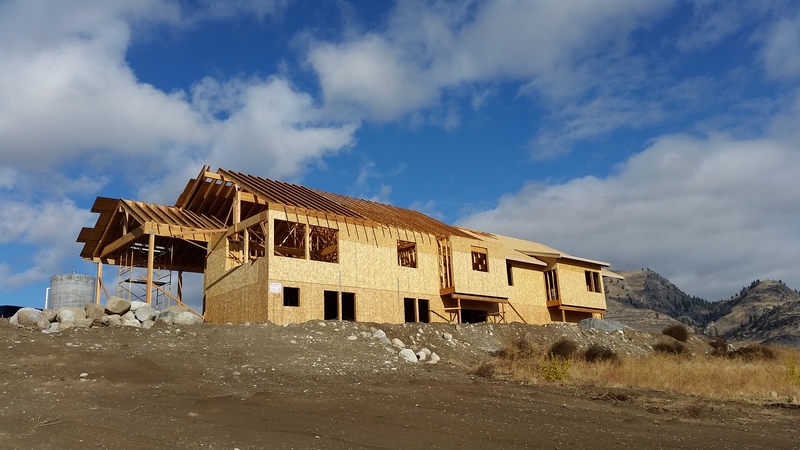 With the roof going on it is easy to see all the wonderful spaces that we have at Ridgeview Place in Lake Chelan. This housing for Special Needs adults is a really cool spot! Working on getting some vineyard planted around it next spring too! 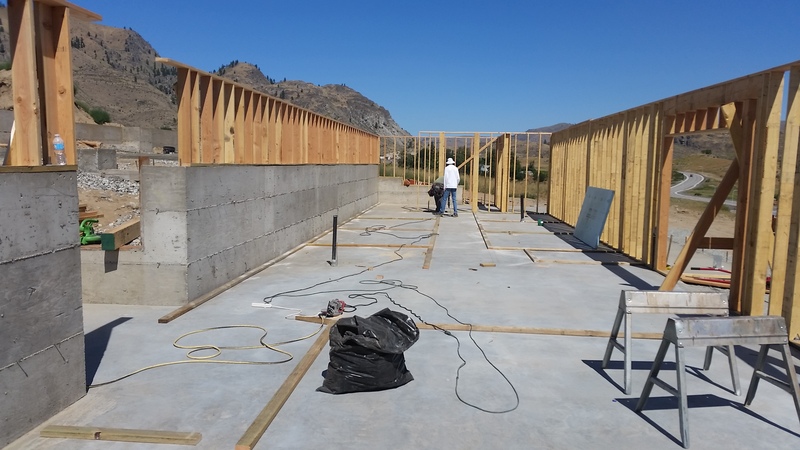 Posted on September 30, 2016 Categories About Ridgeview Place, Chelan, ConstructionTags Chelan, construction, home, Housing and Residential Support, needs, specialLeave a comment on Lake Chelan’s home for Special Needs Adults gets a roof! 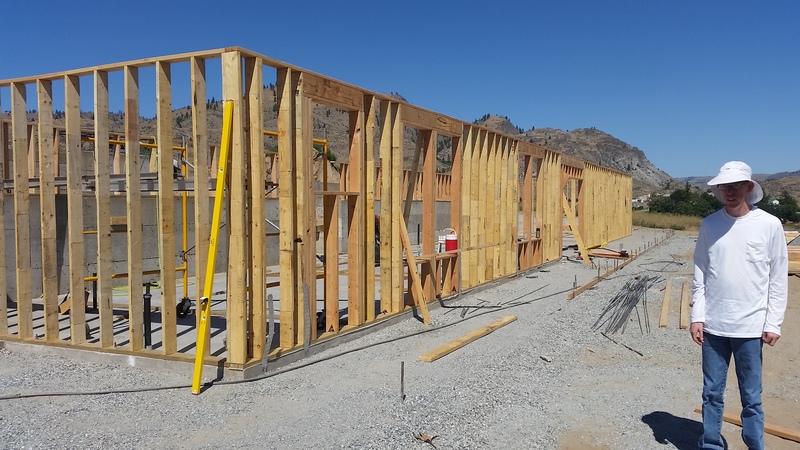 The lower floor is now completely framed and sheeted. Floor joists should be complete tomorrow for the final level. 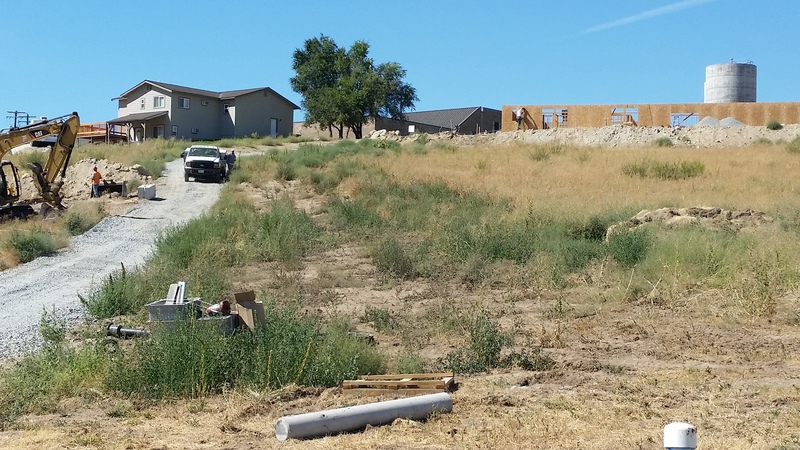 In this photo the framing crew is working away while a fire hydrant and water are being installed as well. Windows are being cut into the sheeting in this photo. 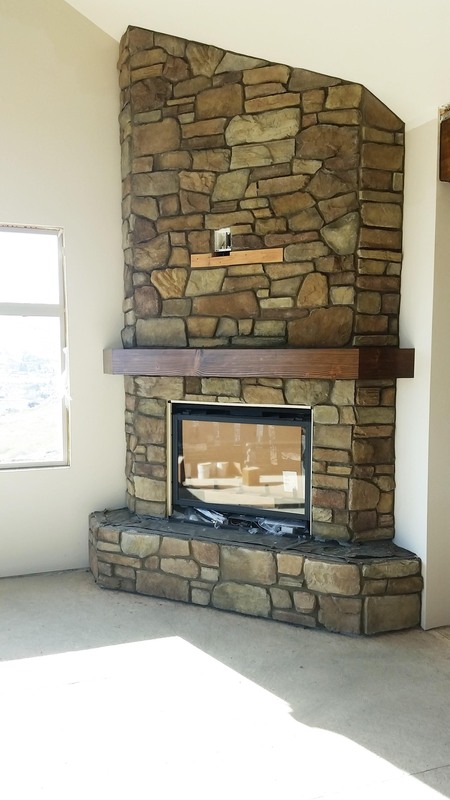 Things like flooring, cabinet colors, counters, roofing and the selection of stone for use a few places are on the list to be completed soon, so they can be ordered in time to keep things moving along! Here are a couple of photos from framing all the way back from Monday. The internal walls are probably about done now. 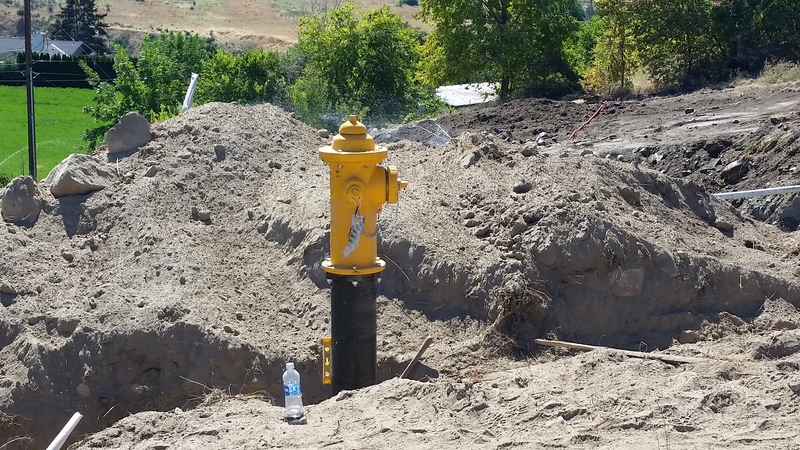 Also, power and sewer connections have been brought on site. Next week, more framing and the extension of the water main, fire hydrant and water line. Slab is poured, Lumber on Tuesday and Framing on Wednesday! 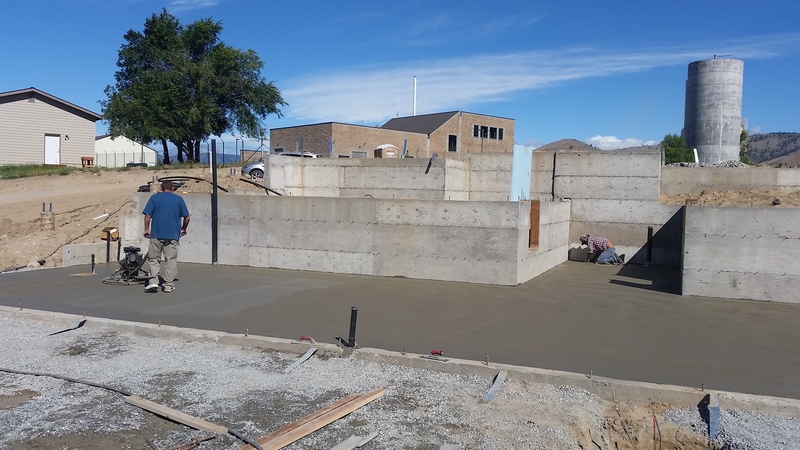 The slab was poured today. 43 cubic yards of fun! Some additional footings for posts will be poured Monday and Tuesday. 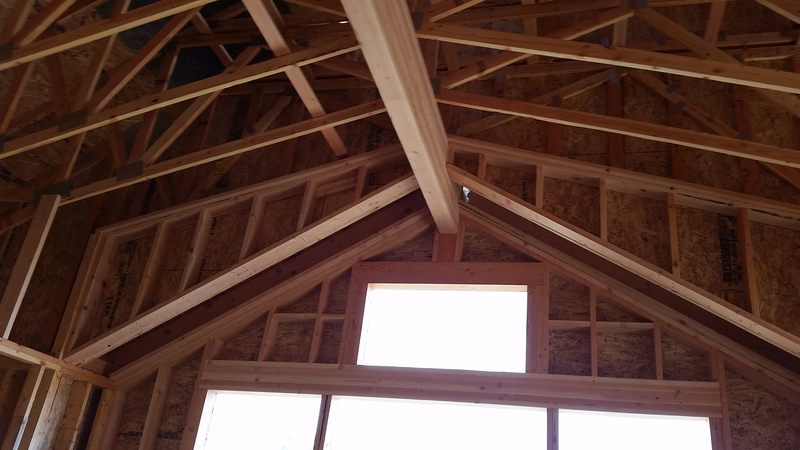 On Tuesday, lumber arrives and on Wednesday the framing crew starts. 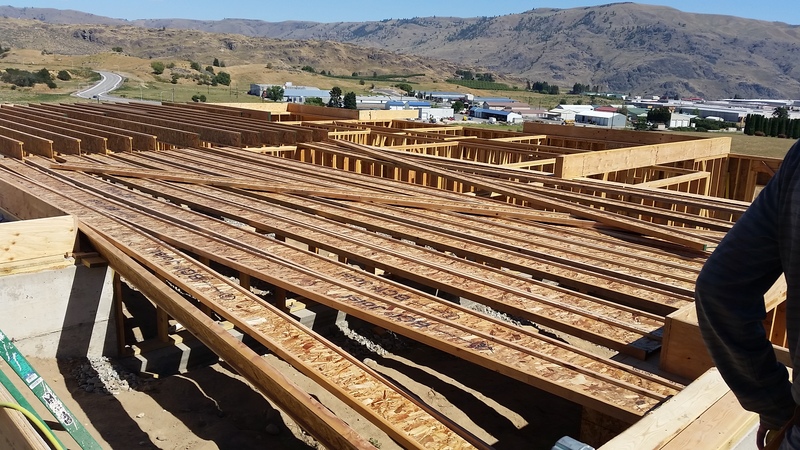 Posted on July 15, 2016 July 15, 2016 Categories About Ridgeview Place, Chelan, Chelan Special Needs Resources, ConstructionTags Autism, Chelan, construction, home, needs, specialLeave a comment on Slab is poured, Lumber on Tuesday and Framing on Wednesday!